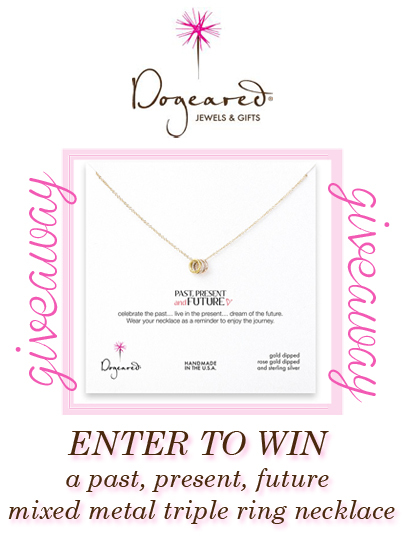 Curated by Carly: Dogeared Jewelry giveaway! A very, VERY exciting giveaway this week! I've paired up with my absolute favorite jewelry company, Dogeared Jewels & Gifts, for this fabulous giveaway! One lucky Chicago Prepster reader will win this stunning past, present, future mixed metal triple ring necklace! Dogeared send me this necklace and I absolutely love it. It's so simple yet unique and it complements any outfit. 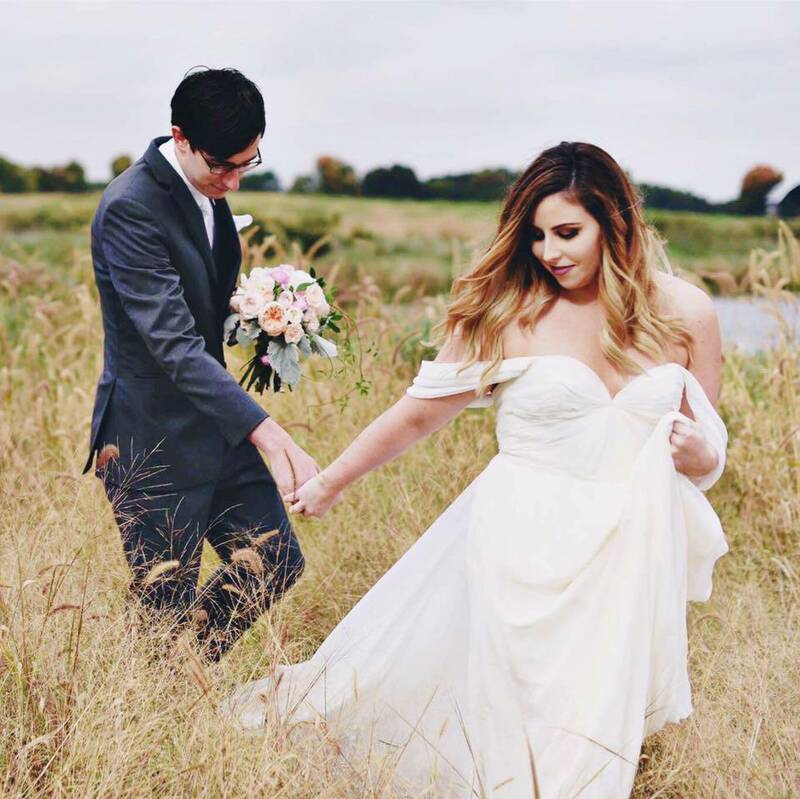 You may have seen me raving about it on Twitter and Instagram! I love everything the Dogeared brand represents. Their delicate pieces and inspirational quotes add positivity and good karma to their customers' lives! They have many collections of gorgeous jewelry and gifts, so be sure to log onto their site and browse their goodies. Here's how you win: simply enter through the Rafflecopter widget at the end of this post and follow all the instructions there. The winner will be chosen next Wednesday, March 20 at 11:59pm! There's also a little something-something from Dogeared for all my readers towards the bottom of this post! Good luck to all my jewel-loving contestants! I love love the state of mind ones! I work for a West Michigan legislator so I think they're a must! Love Dogeared! What a great giveaway! Wearing the gold cherish necklace now! So glad you introduced me to this site! I love the "Pearls of..." necklaces and the small karma circle bracelet, dipped in gold. So happy I stumbled upon Dogeared- thanks for sharing! My favorite is the small gold Karma circle bracelet. 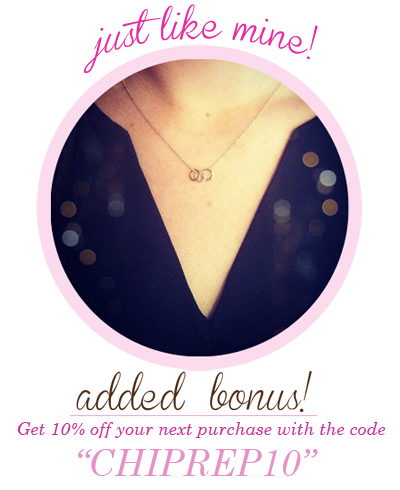 Love dogeared necklaces! I think my favorite is the whisper elephant necklace, so adorable! I was going to say I loved the state necklaces, but they don't have one for my home state! :( I do like the sorority necklaces, too, though! I love the new state necklaces, Texas to be exact. I have always wanted an infinity necklace or a state necklace! Ahhh I really want the Texas necklace in gold! I'm planning to move to NYC after graduation and that would be an amazing little thing to wear around and remind me of home! I personally love all of their wish bracelets! I want the Michigan necklace so bad! Their jewelry is just too cute! I love all of it!! I really love the state necklaces and of course the one in the giveaway!! I have the "Pearl of Friendship" necklace and gave my BFF the other. The sorority diamond is also a personal fav since I'm an ADPi! I love the gold circle necklace and the Karma neckalces! I love the Missouri necklace! I love the whispers elephant necklace. It reminds me of my dog for a very geeky reason. I'm mad that they don't have a NC necklace, though! Love, love, love their necklaces! I would love this! The elephant is too cute! I love the state necklaces!